Conversation between people is what makes a community. Conversations, debate, discussions, consensus, disagreements, etc: all part of what it means to live in a community. Entries in this category are focused on discussions, not just questions and opinions which typically can be found in the LISTS and BLOG category. 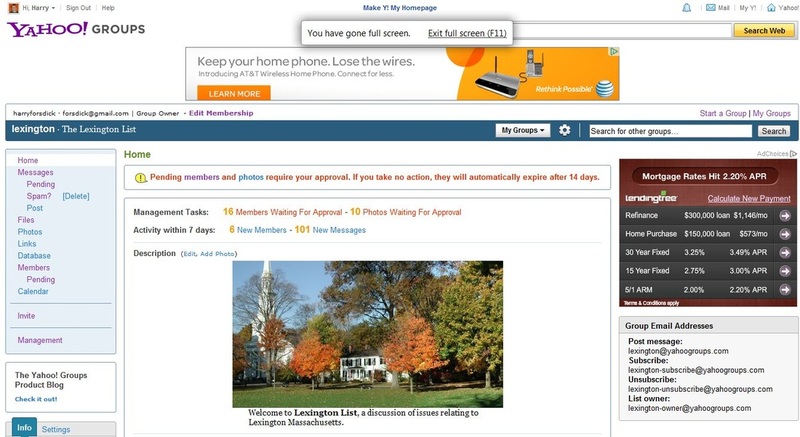 The Town of Lexington Planning Department has adopted the MindMixer platform for LexEngage, a website to manage discussions about ideas for improving the Town. This is an area of active conversion about life in Lexington -- everything except Politics and Religion. See Lex-PolRel for that. 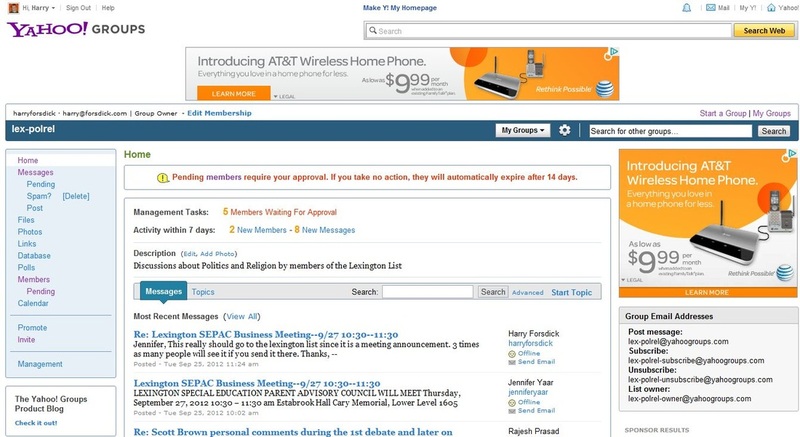 This is a email discussion list which discusses topics that involve extended exchanges. We use the term "Politics-Religion" to refer to the never ending nature of these discussions.